Members of the Wonthaggi and Phillip Island historical societies select choice items from their archives. 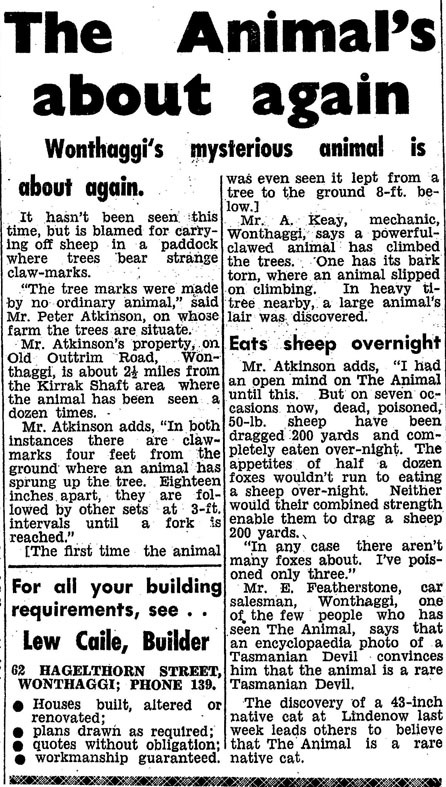 A SYDNEY Morning Herald report of December 20, 1933, described Phillip island as “a puzzle, but it is one that will entertain for weeks”. “The sense of remoteness rises immediately the visitor sets foot on shore. Twenty more yards, and he is almost certain that he has come to some peaceful island, tucked away in a secluded corner of the ocean. Then, turning round to make sure, he sees the Victorian mainland only a couple of miles across Westernport Bay. Perhaps it is a mirage. By this time he probably prefers to think that it is. “If he is energetic he sets out to solve the puzzle. The feeling of isolation grows, but is frequently disturbed by various little incidents. The inhabitants talk as if they live many thousands of miles from anywhere; then they sit down to their lunch with that morning's Melbourne paper." The Killara was a vehicular ferry made redundant by the building of the Sydney Harbour Bridge. Her carrying capacity was about three dozen motor cars and up to 1000 passengers at one time. The number of passengers using the ferry reduced substantially once the Phillip Island Bridge was opened in 1940 and cars became more common. For more information about the area, visit the Phillip Island & District Historical Society’s Museum in Thompson Avenue, Cowes, where the latest display highlights Mary Potter’s Nature Notes from 1918. The museum is open Thursday and Saturday mornings and Sunday afternoon during school holidays, and by appointment. Entry by gold coin donation – children free. The Society meets monthly on the first Wednesday evening (except December and January) and features speakers on topics of local and wider interest. From the National Library’s digitised newspaper collection, A View of Western Port offers a tantalising portrait of the Bay in 1866.
Leisure and wildlife remain priorities in the region although thankfully the emphasis has changed from destruction to preservation of wildlife. And here’s to more dolce far niente! For more information about Phillip Island, visit the Museum in Thompson Avenue, Cowes, where the current display highlights Mary Potter’s Nature Notes from 1918. The museum is open Thursday and Saturday morning, Sunday afternoon during school holidays, and by appointment. Entry by gold coin donation. The Phillip Island & District Historical Society meets monthly meetings on the first Wednesday evening of the month (except December and January) and feature speakers on topics of local and wider interest. CALLING Himbecks, Harmers and Hailes. 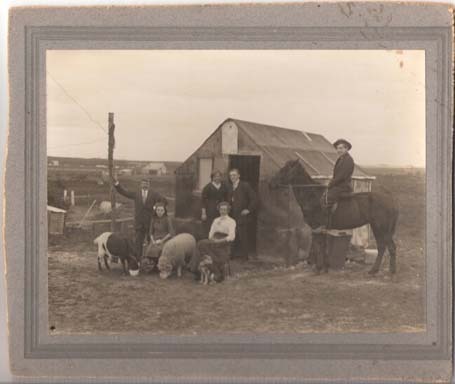 Barry Himbeck has approached the Bass Coast Post in search of clues to his ancestors, the Himbeck family, who lived in Wonthaggi from 1912 to 1919. Edward Himbeck worked as a fitter at the coal mine and his son William ran a piggery and market garden from one of the three-acre lots in Cameron Street, which were known as Gardenvale. William was also a first-class rifle shot with the local rifle club. Mr Himbeck says the Himbeck family was associated with other mining families, including the Sievers, Rollisons and Harmers. Edward’s daughter May married Jim Harmer. He intends to visit Wonthaggi in October. You can email him on bhimbeck@bigpond.net.au. Edward Himbeck is on the left. From left, Billy Hailes, Rose Harmer, May Harmer (daughter of Edward and Elizabeth Himbeck) and her husband Jim Harmer, Mary Hailes (nee Harmer) in white blouse and James Harmer on horseback. 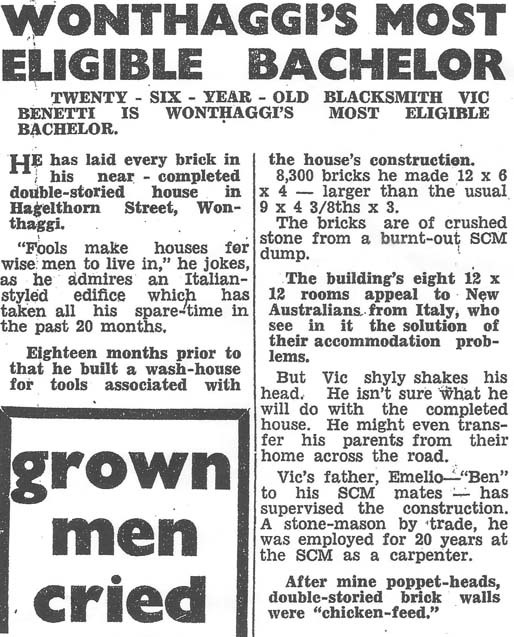 AN article in The Powlett Express of October 15, 1953, opens with the bold statement: “Twenty-six-year-old blacksmith Vic Benetti is Wonthaggi's most eligible bachelor”. What made him so eligible, according to the article, was his almost-completed house in Hagelthorn Street. Vic, then a farrier at the State Coal Mine, had hand-made and laid 8300 bricks for the double-storeyed house, which he built across the road from his parents’ home. 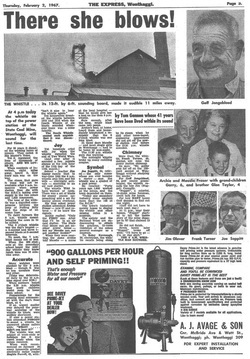 When the Bass Coast Post calls at Mr Benetti’s house almost 60 years later, he recalls the article exactly. He’s got the clipping in a scrapbook. “Tom Ganon [Express editor] wrote it,” he said. Gannon also sent it to a Melbourne’s daily, The Argus, where it was printed it word for word. Vic doesn’t recall a conga line of single city women visiting from the city to seek out this most eligible of bachelors. In fact, it took him four more years to find the love of his life, Maureen, at a dance in the Berry’s Creek Hall. Maureen recalls that a group of young blokes from Wonthaggi started coming to the dance and one of them became involved with a good friend of hers. Victor and Maureen Benetti in their Hagelthorn Street house, 60 years after that article. Victor Benetti had a reputation as one of the best farriers in the business. Locals said he only needed to look at a horse’s hoof to forge a perfectly fitting shoe for the mine ponies. He worked as a blacksmith/farrier for more than 50 years, including some 30 years at the mine. In 1988, in his early 60s and 20 years after the mines closed, he entered an international farriers’ challenge at Werribee Park. The 31 competitors in the Eagle Eye event had 10 seconds to study a horse’s hoof and 20 minutes to hand-work the shoe. Vic won in a canter, not because he was the fastest but because he was the most accurate. Vic and his Austrian whipper snipper. Photo taken in 2005. These days he uses his energies around his garden and house. 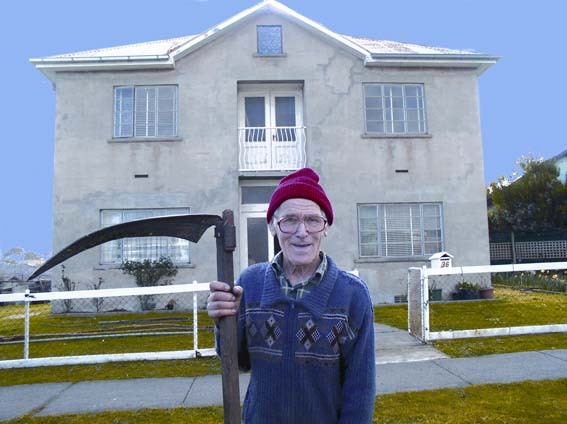 He is sometimes to be seen outside the house using his well-worn Austrian scythe to trim around his garden beds. Fifty-five years down the track, he and Maureen have seven children: Catherine, Leo, Bernadette, Brendan, Philip, Anthony and Chris, 17 grandchildren and six or seven great-grandchildren, most of them living nearby. NOTES for Boys, a regular column in The Argus, is full of fascinating and useful information, even for girls! 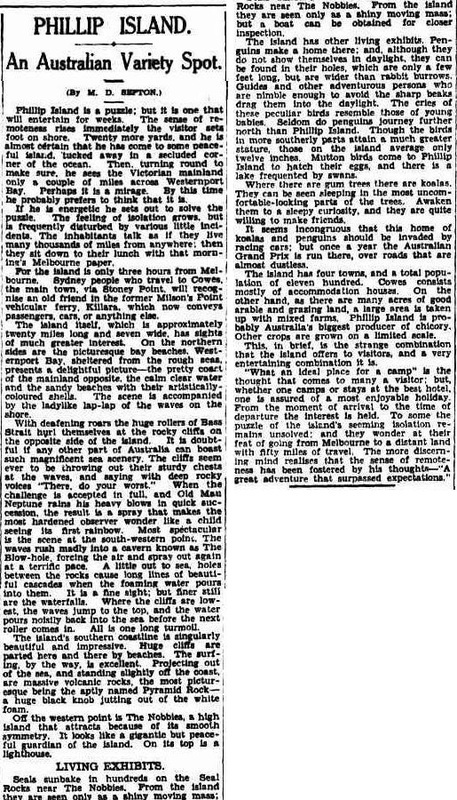 From The Argus of Tuesday, July 21 1914 comes Aboriginal Traditions, which describes a time when the Aborigines of Phillip Island could walk to the Barwon River. The Rev. Dr. Watkin writes:-" 'G.Y.D' asks whether the Blacks had any traditions which might be historically true. The reply is yes. The first settler on the Mornington Peninsula was Mr McCrae. The blacks told him often that very long ago there was no Port Phillip. It was a plain covered with she-oak and other trees. There came a day when the land was rocking for a long time. Then the ground split open between Point Nepean and Point Lonsdale, and the sea came in and made the bay. They added that the Yarra at that time flowed through what we call Corio Bay and joined the Barwon. "The late Mr. J. A. Panton was told by Mr. McHaffie, the pioneer settler on Phillip Island, that the aborigines informed him that their ancestors could walk along the beach as far as the Barwon. It is very likely that the aboriginal tradition refers to the geological depression which separates Victoria and Tasmania, and which in all probability made Port Phillip." Learn more about your area’s past from the Phillip Island & District Historical Society, an enthusiastic band of volunteers who meet regularly at the museum in Cowes, open Thursday and Saturday morning, Sunday afternoon during school holidays, and by appointment. Entry by ‘gold coin’ donation. Monthly meetings are held on the first Wednesday evening of the month (except December and January) and feature speakers on topics of local and wider interest. 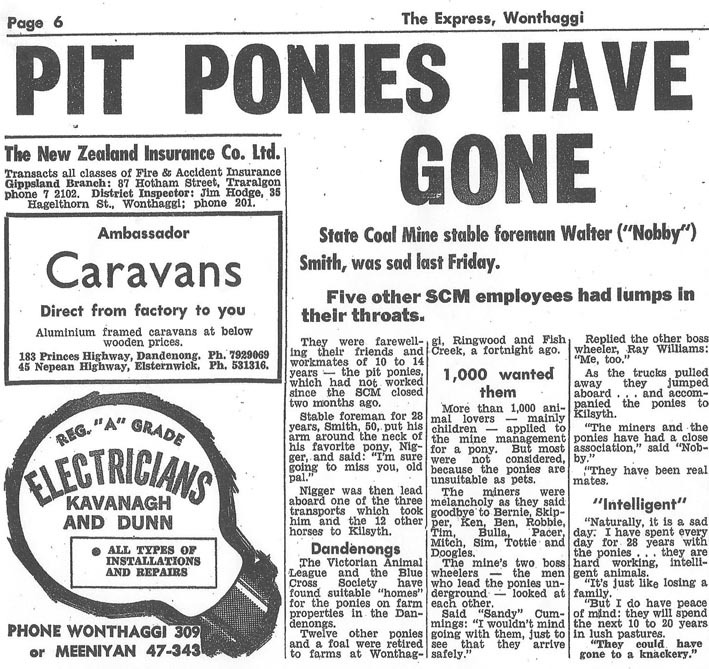 The Wonthaggi State Coal Mine had a reputation for taking good care of its pit ponies. Mine workers were sad to say goodbye to their four-legged mates after the mine closure. IT WAS a happy day and a good result, but several State Coal Mine employees “had lumps in their throats” as they farewelled the pit ponies they had worked beside for the past 10 to 14 years. The mine's two boss wheelers (the men who led the ponies underground) jumped on the transports with 13 horses bound for Kilsyth to ensure they arrived there safely. “The Victorian Animal League and the Blue Cross Society had found suitable homes for the ponies on farm properties in the Dandenongs,” the Express reported. WITH the mouth of the Powlett River currently closed by sand, landowners on the river floodplain are watching anxiously as the river rises – as generations of their predecessors have done before them. Almost a century ago, on September 24, 1915, the Powlett Express reported a delegation from the Borough of Wonthaggi and the shires of Phillip Island and Woolamai “waiting on” the Minister for Public Works regarding improvements to the mouth of the Powlett. A civil engineer from the department had visited the area in late July to investigate and report on snagging works carried out along the river and the effect on flooding. He reported the works had achieved all that was required from the government’s point of view and that any further extension would be purely for the benefit of local landholders. “He was given to understand that the two landholders who would receive the greatest benefit from the suggested work declined to contribute to the cost of same,” reported the Express. “Speaking from a knowledge of the Powlett watershed, Mr Lingford was of opinion that any further snagging should be undertaken as a comprehensive scheme, say, as far up the river as the Kongwak bridge, in the Poowong and Jeetho Shire. The Public Works Department wrote that it proposed to plant marram grass on the bank and foreshore on the west side of the river mouth to prevent sand drift. Local councillors mulled over the report – but kept returning to one idea: the mouth of the Powlett must be opened. 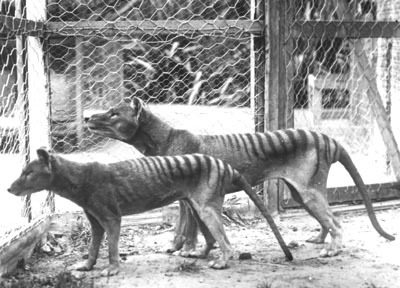 Ninety-eight years later, landholders continue to urge the same thing. Watching the river flow: The more scientists have learned about the Powlett estuary, the more they have have concluded that artificially opening the mouth can cause major problems. 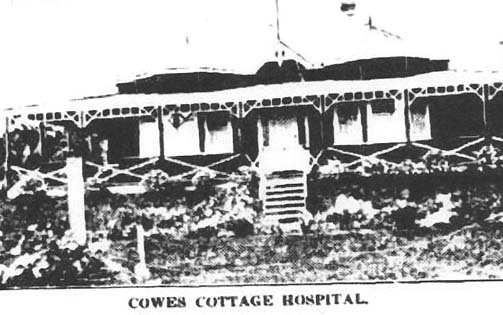 WARLEY Hospital is again in the news, with a large public meeting in Cowes early this month to talk about the need for a hospital on the island since the state government closed Warley in 2008. As this article from a 1923 issue of the Frankston & Somerville Standard shows, the hospital has been central to the community since it was built in 1923. Cowes’ main street, Thompson Avenue, was named in honour of the public-spirited couple who financed the bulk of the project. The article also mentions the Continental guest house, which opened the same day. The Continental is currently operating as The Isle of Wight while that site awaits redevelopment. To complete the trifecta, the article reports on an early push for self-government as the only way for the island to get things done, another recurrent issue. The original drawing of Warley Hospital comes from David Williams book Memories, moonahs and marine marvels, 1999 – copies are available from the museum. 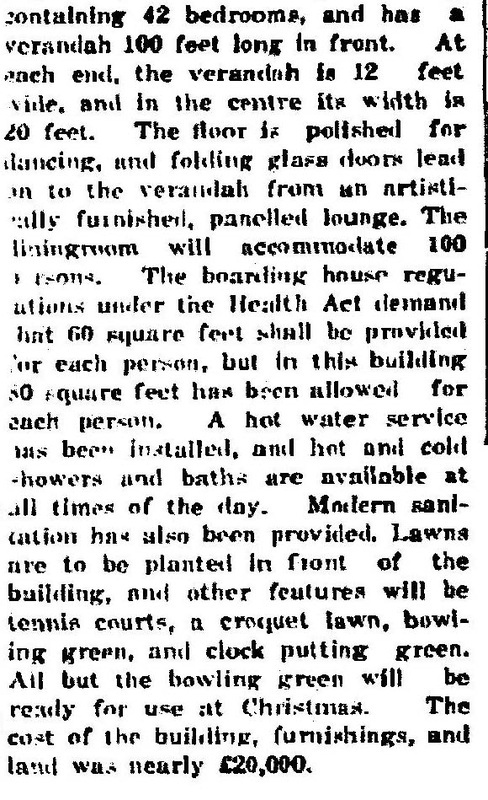 Extracts from the Frankston & Somerville Standard, 12 December 1923. To see the article in its original format, visit Trove. AT JUST 54 years of age, Joe Chambers failing eyesight brought an end to his long and happy teaching career. As an immigrant from Scotland, Joe was 10 when he arrived in Wonthaggi with his mining family. After completing his teaching studies, he served in various postings in Victoria but his hankering for Wonthaggi brought him back in 1951. He dedicated himself to the education of youngsters and to the betterment of the town through various projects including the public library and the South Wonthaggi recreation reserve. As Express editor Tom Gannon put it: “He is the champion of the battler … the wage earner and the destitute”. He was a long-time borough councillor, a member of the Cape Paterson Beach Reserve Committee, the Royal Life Saving Club, the Wonthaggi Historical Society since its inception, and a committee member of the Wonthaggi Co-op. Joe loved any sort of music and started the school's recorder band in 1955. A favourite with many former Wonthaggi State School pupils, in his retirement he ventured back to the school for a few hours each week to conduct the music classes. His retirement came just a year after the state government closed the mine, which many predicted would be the death knell of the town. 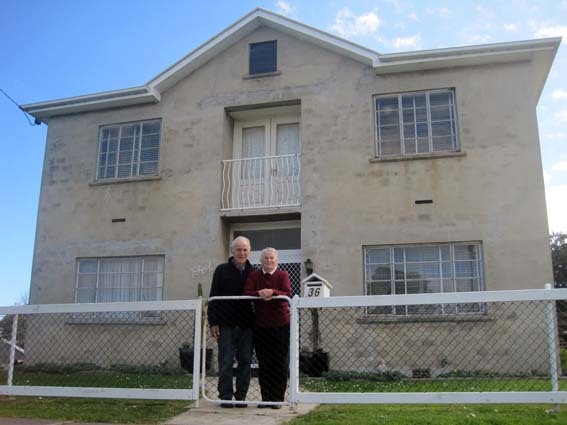 Joe’s decision to build a new house for his and his wife Lyn’s retirement was a mark of his confidence in the future of Wonthaggi. Joe Chambers died in June, 1998. His wife Lyn, who worked tirelessly beside Joe for the good of the town and the district, died in March this year (See A gentle woman who stood firm, Bass Coast Post, March 16, 2013). 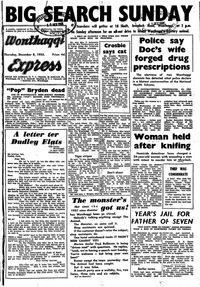 "We have not brought nine boys into the world to have them shot," Wonthaggi's Des Pugh told The Express as he prepared to emigrate so his sons would not be drafted to Vietnam. 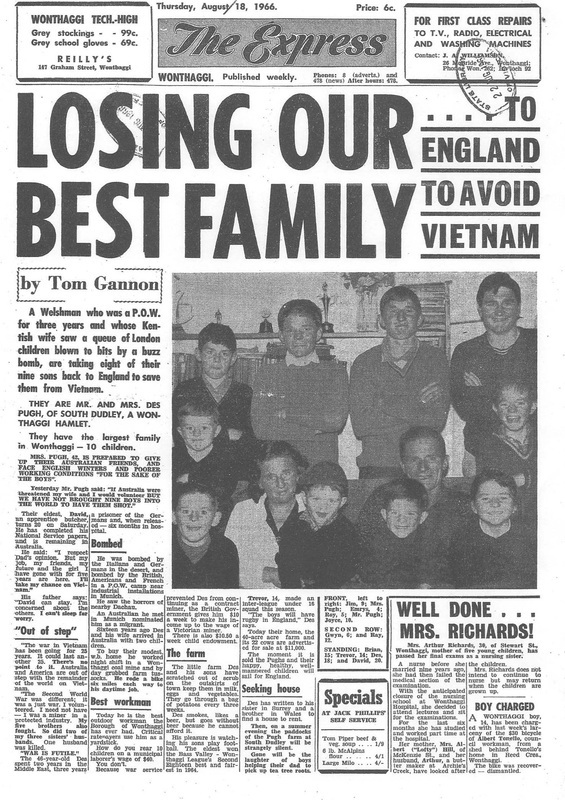 IN August, 1966, Des Pugh handed in his notice, sold his small farm and took his family back to his home country of Wales to avoid his sons being drafted to fight in Vietnam. Express editor Tom Gannon made clear the sacrifice the Pughs were making: “Mrs Pugh, 42, is prepared to give up their Australian friends, and face English winters and poorer working conditions, ‘for the sake of the boys’. “Yesterday Mr Pugh said, ‘If Australian were threatened, my wife and I would volunteer BUT WE HAVE NOT BROUGHT NINE BOYS INTO THE WORLD TO HAVE THEM SHOT”. Mr Pugh told the Express he fought in World War Two but that was different – “that was a just war” – and there was no justification for Australia to enter the Vietnam War. 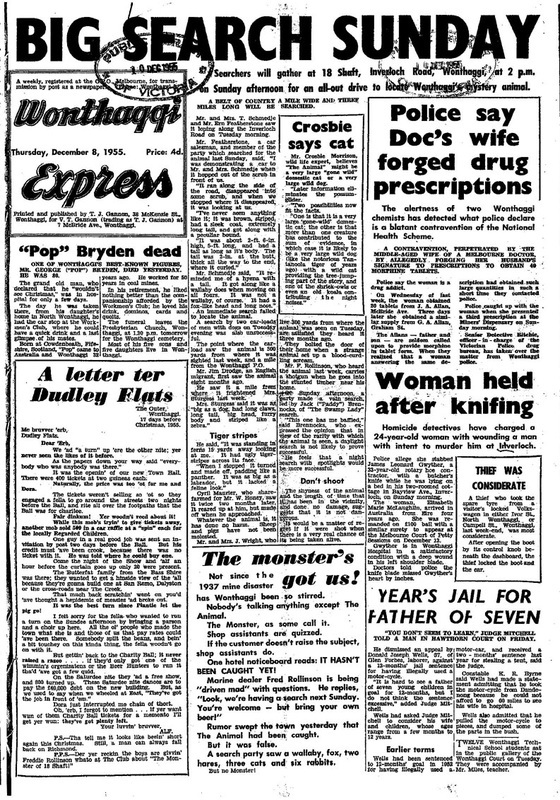 THE Express caught a young man going places when they profiled Alan Brown on August 21 1969. By this time he was 23, had a new factory and was employing five tradesmen in his business. He tells the Express he identified the need for a joinery business during his apprenticeship with builder Wally Purvis. To raise the required funds to start his business, he’d obtained a second-hand dealer's licence and started to do up old cars. After repairing and selling 34 cars over two years, he had enough in the bank to start his joinery business. His early customers were Wally Purvis and Coldon Homes. Three years later Alan had a $20,000 business and a new $10,000 factory in McKenzie Street employing a staff of five tradesmen. After dedicating himself to establishing his business, occasionally working from 7.30am to midnight six days a week, Alan got himself a girlfriend and (wisely) planned to spend more time with her and less in the factory. Domestic bliss went on the backburner a couple of years later when he was elected to the Wonthaggi Borough Council, following in his father Glenn’s footsteps. He was elected mayor in 1974, at the age of 28, and remains the youngest councillor and mayor ever elected in the region. Note the three-digit phone number – 528 – in the photo. Do you remember what your three-digit phone number was back in those days? By the time he was 33, he was a Liberal MP, and went on to lead the party in opposition and to become minister for transport in the Kennett state government, before being posted to London for three years as Victoria’s Agent-General. At last year’s Bass Coast Council election, Mr Brown stood for the council he had served more than 40 years earlier, but was unsuccessful. Collection of the National Library. 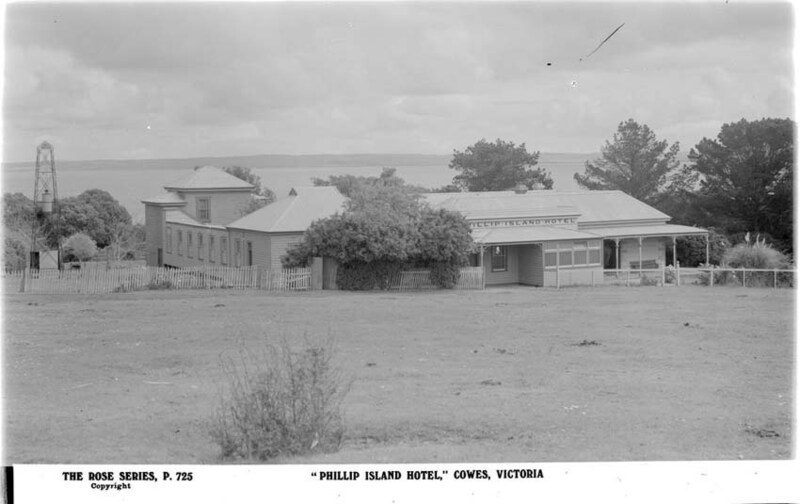 IT WAS at first Wood's Family Hotel, at one stage The Pig and Whistle and later the Phillip Island Hotel. The delightfully worded extract comes from the Phillip Island & District Historical Society’s "bible", Joshua Wickett Gliddon’s Phillip Island in picture and story, first published in 1959. 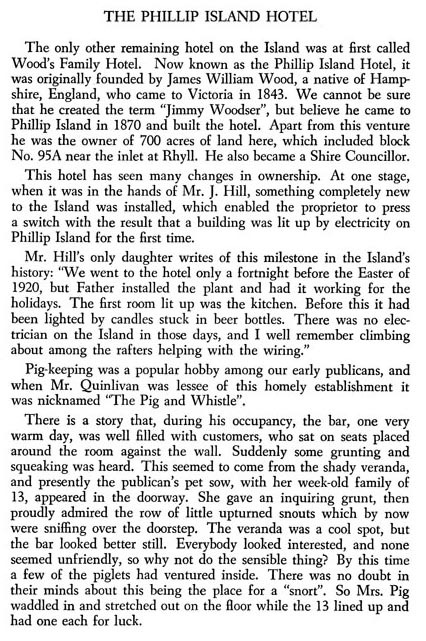 In that other "bible", Guesthouses on Phillip Island, June Cutter writes: "Everyone knows about the Isle of Wight but there was once another hotel on the island, the Phillip Island Hotel, which traded under several names/licensees for many years from about 1870 until 1959 when its licence lapsed. It was mostly destroyed by fire in the early 1960s and subsequently demolished. It was located well back from The Esplanade on a large block overlooking the bay with its entrance on Walpole St, Cowes." From Joshua Wickett Gliddon’s Phillip Island in picture and story, first published in 1959. GONE to his “lonely grave” but certainly not forgotten. 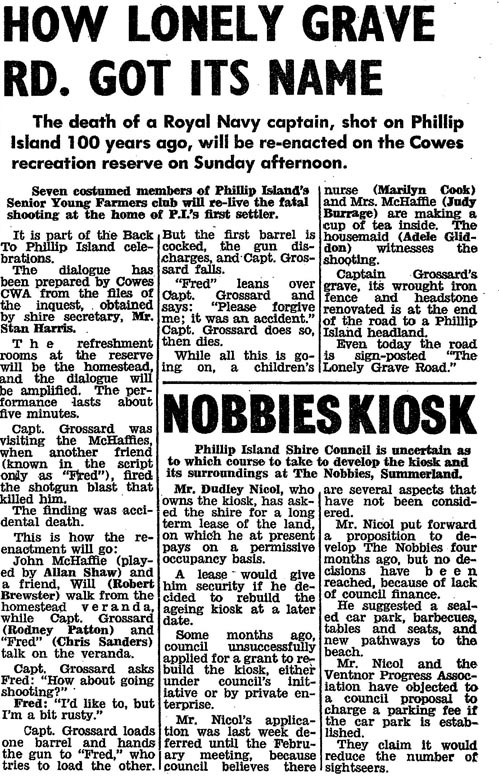 In 1968 the accidental shooting death of Royal Navy Captain Grossard was re-enacted at the Cowes recreation reserve by members of Phillip Island's Senior Young Farmers Club as part of the “Back to Phillip Island” celebrations. One hundred years earlier, in a tragic and senseless accident during the loading of a shotgun, Captain Grossard was killed by a friend during a visit to the home of the McHaffie family, Phillip Island's first settlers. Buried on a Phillip Island headland at Ventnor, the Captain's grave stands alone and for a long time the road out to the headland was known as “Lonely Grave Road”. Captain Grossard was subsequently honoured by the renaming of that road to “Grossard Point Road”. 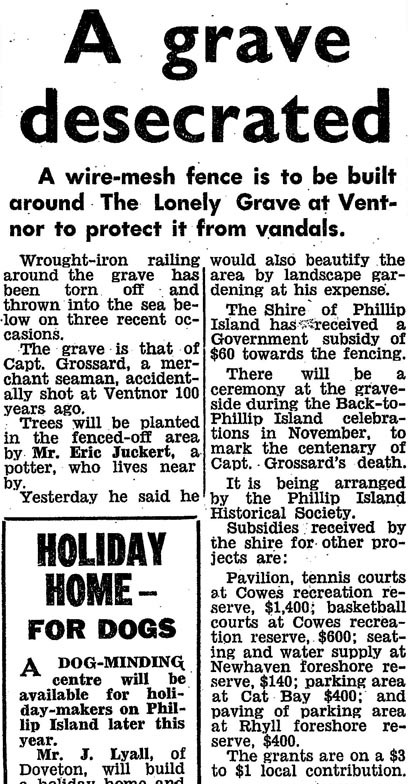 Earlier in the year of the above-mentioned re-enactment of Captain Grossard's untimely accidental death 100 years previously, his “lonely grave” at Ventnor was vandalised, not for the first time, prompting the Shire of Phillip Island to erect a protective wire-mesh fence around the grave A $60 subsidy was received from the government towards the cost of fencing and a local resident, Eric Juckert, offered to plant trees and landscape the area at his own expense. The Phillip Island community, and Ventnor residents in particular, had a soft spot for Captain Grossard, whose grave is a historic feature of the local headland. 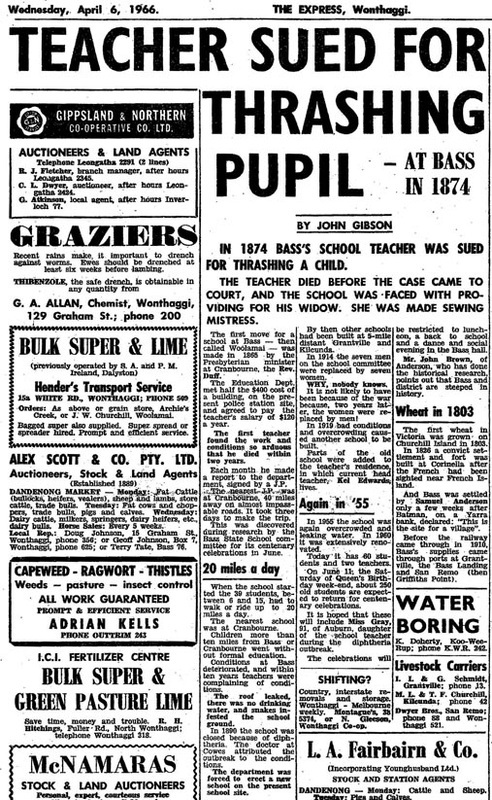 TEACHERS might think they’ve got it hard these days but an article describing conditions at the first school in Bass – then called Woolamai – puts the modern teacher’s experiences in perspective. “The first teacher found the work and conditions so arduous that he died within two years,” reported The Express in 1966. Teachers today frequently complain about the excessive reporting requirements – this poor man had to have his monthly report witnessed by a JP, which required a three-day trip to Cranbourne on almost impassable roads. The article, based on research by the Bass Sate School committee for its centenary celebrations in June 1966, unearther some fascinating facts. In 1874 the teacher was sued for thrashing a child. Straps and canes were par for the course at the time – “Spare the rod and spoil the child” – so one can only imagine what that thrashing was like. The school expected about 250 students to return for the centenary celebrations, including the 91-year-old daughter of a teacher from the 1890s. Bass was settled only a few weeks after Batman, on a Yarra bank, declared, “This is the site for a village”. In other circumstances, it might well have become the capital of Victora. 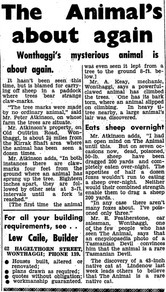 With Wonthaggi’s famous mine whistle temporarily indisposed, it’s timely to look back at 1967 and the first time she fell silent. A TOWN is a complex mixture of sights, sounds and smells. Of all the sounds that made Wonthaggi what it was, the most distinctive was the mine whistle. His elegy for the whistle was published as it was about to blow its last chord, with the SEC soon to take over the town’s electricity supply. Once the Wonthaggi power station closed, there would no longer be steam to blow the whistle. Besides, it had outlived its purpose: by now everyone had a watch or alarm clock. 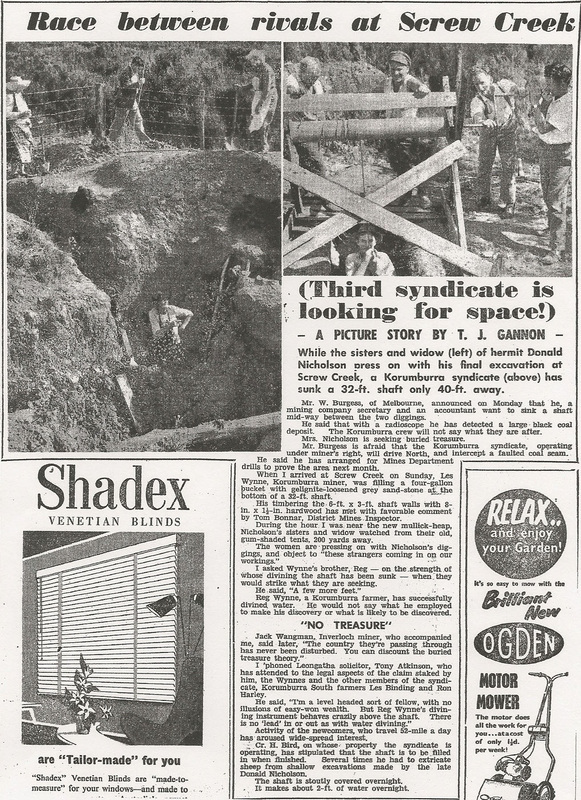 As Gannon relates in a wonderful article, the mine whistle was all things to all men: to Inverloch residents it was a weather gauge, to dairy farmers the distinctive 6am blast meant it was time to bring in the cows; to miners on day shift the 7am blast was an order to vacate the bed, to mothers, the 3.30pm blast meant the kids were on their way home from school, to golfers it was a windsock. It signalled everything from disaster (six blasts for a mine fatality) to the joyous chimes that sounded the ends of two world wars. As we all know, the whistle made a comeback in the 1990s and now blows daily at midday from Apex Park in the middle of town. Even now, the midday blast shocks strangers and reassures locals: it’s midday in Wonthaggi and all’s right with the world. Or at least it did until recently when the whistle was silence by technical difficulties. Let us hope the eerie midday silence is only temporary. * The mine whistle was reinstated to its full, shrill best just a few weeks later. 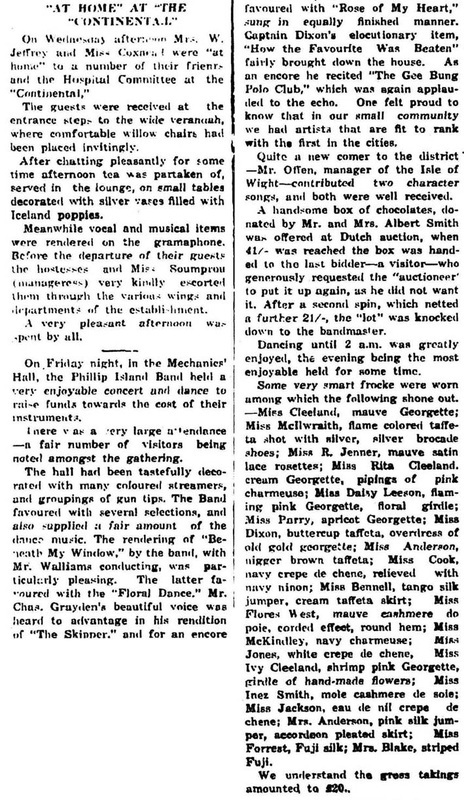 A CLIPPING from The Frankston & Somerville Standard gives a glimpse of Phillip Island social life in 1923. What I’d give for a colour photo of those in attendance and their “very smart frocks” although surely they meant “gum tips” not “gun tips”! The Continental in Cowes is still there, these days temporarily hosting the Isle of Wight Hotel which awaits redevelopment after burning down again not so long ago. Warley Bush Nursing Hospital is, alas, no more. The Cowes Mechanics’ Hall, too, is long gone, as is the Phillip Island Band, although a permanent display in the Island’s museum illustrates some of the band’s activities, instruments and regalia. Visit Phillip Island & District Historical Society for opening hours and contact details. 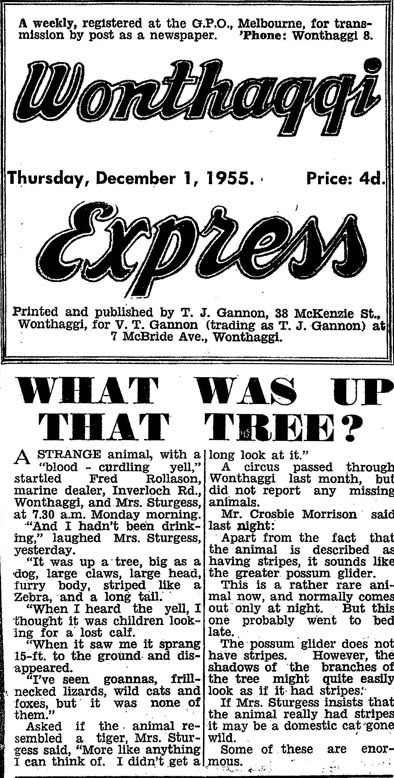 The Frankston & Somerville Standard, Wednesday, December 19, 1923. From the National Library of Australia. 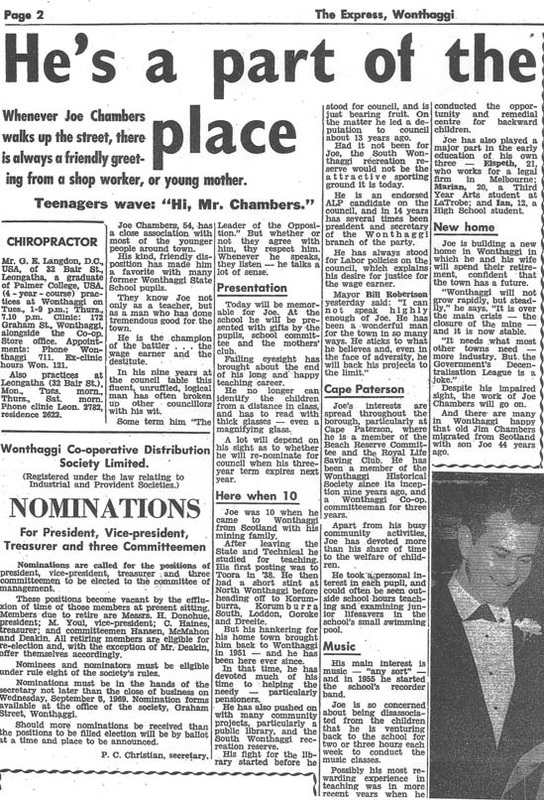 “IN football for 40 years”, reads the headline on a brief obituary in the Powlett Express of July 31, 1958. 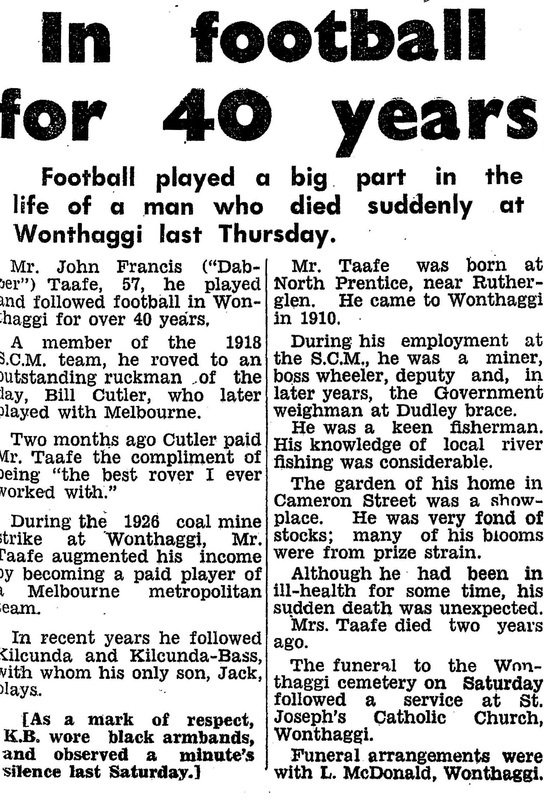 It describes the life of Dabber Taafe, a miner and one of Wonthaggi’s best-ever footballers, who played professionally in the city during one particularly long strike at the mine. While the article lauds his footballing prowess, what’s remarkable about him is the range of his interests, including river fishing and his Cameron Street garden, a showplace of prize blooms. He was a true Renaissance man. 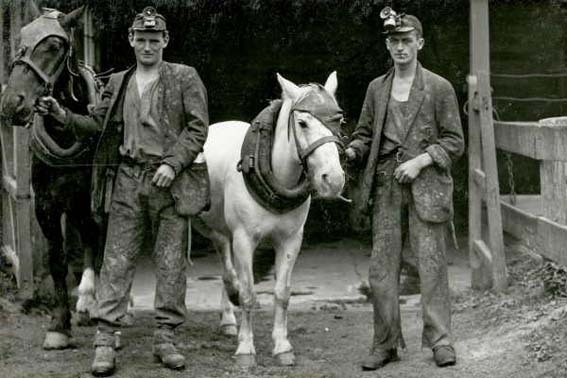 Like many miners, Mr Taafe died far too young. He was just 57 when he died after a long illness. Anna’s son fills in the back story about her early years in Wonthaggi. Anna Coldebella still lives at 76 Reed Crescent, in the house where she and Leone raised their family. Three of her sons – Frank, Reg and John – also live in the street and her daughter Teresa has a holiday house there. A PRESENTATION evening for two stalwarts of Wonthaggi State School’s Mothers Club in 1958 provides a fascinating insight into life in the town in its very early years. Gladys Derrick and Agnes Chambers both arrived in Wonthaggi in the 1920s. The names Derrick and Chambers are still prominent in the town today, both through their descendants and through their contributions to Wonthaggi’s social and educational life. 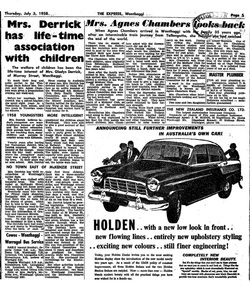 The Express reports that Mrs Derrick, a teacher before her marriage (women had to resign when they married), believed today’s pupils were more intelligent because of radio and their own parents’ better education. In her day, many children and adults in country areas were illiterate. Scottish-born Mrs Chambers had never heard of a mothers’ club but, at Mrs Derrick’s invitation, went along to a meeting to find out more. She couldn’t understand why the government didn’t provide all the facilities and services needed, but agreed to lend a hand until the government got around to it. She remained a member of the club until 1958, long after her own children were parents themselves. Before 1930, the school had about 900 pupils but the school roll dropped by half in the Depression as many men left the mine. Throughout the Depression years, the Mothers Club supplied lunch daily to 75 children, raising money through whist drives and other functions. During two strikes, they bought clothes and boots for the children and sold them to grateful parents at cost price. Three of Mrs Chambers’ children became teachers, as did several of her grandchildren. Mrs Derrick recalled some of the ups and downs of life in a mining town. When she arrived, she said, the hills were covered in beautiful trees and the town ended at McKenzie Street. On Friday nights, the footpaths were so crowded that prams had to be wheeled in the road. On Saturdays, everyone went to the football at the intersection of Graham and Cameron streets. 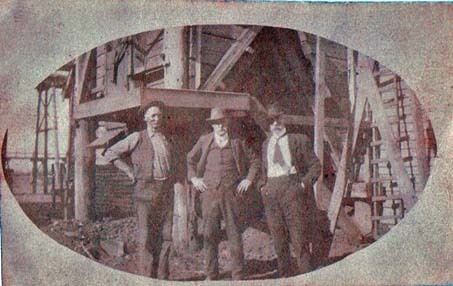 The birth of each of the Derricks’ first three children was followed by a three-month strike at the mine. When their fourth child was born, Wonthaggi’s miners were working but paying a levy of 33 shillings a week into strike funds in support of NSW coal miners, leaving the Derricks to keep a family of six on less than three pounds a week. 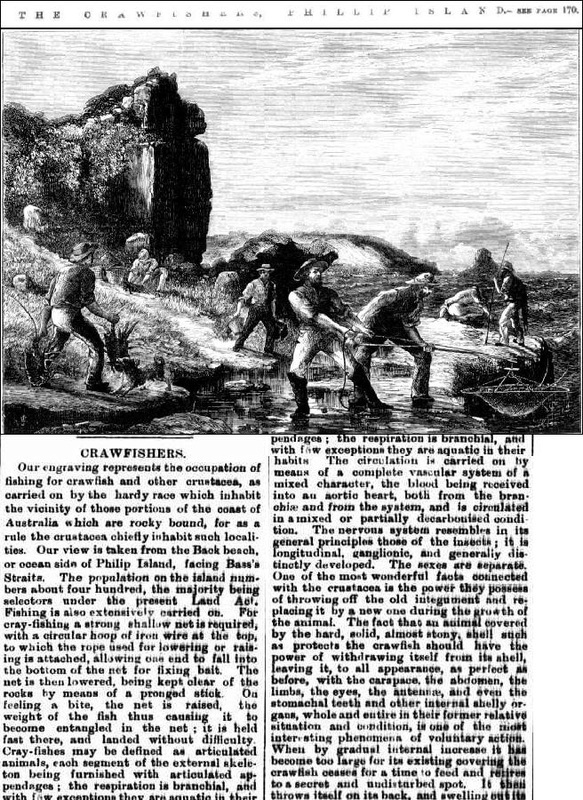 In the 1870s, about 400 people – “a hardy race” – lived on Phillip Island, clearing the land and fishing for a living. 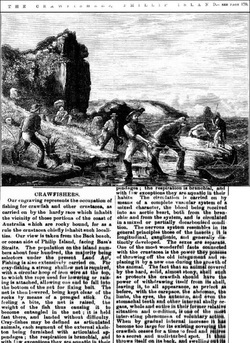 On September 9 1871, the Illustrated Australian News published a front-page engraving of some of the island’s fishermen pulling in crayfish as big as turkeys. A full-size copy of the engraving is on display at the Phillip Island Historical Society Society Musuem, Cowes Heritage Centre, 89 Thompson Avenue, from 10am-noon on Thursdays and Saturdays. 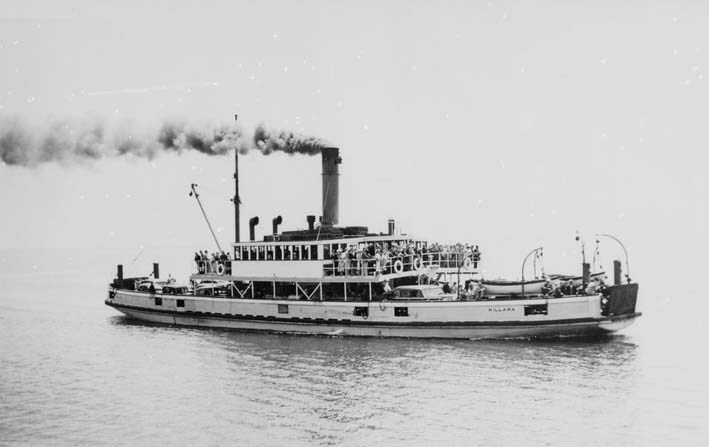 In 1923, the opening of a new guesthouse provided the perfect occasion to announce a modern passenger steamer for Phillip Island. At the opening on Monday night of the new guesthouse just completed at Newhaven, Phillip Island, by the Redcliffs Syndicate, Mr. A. K. T. Sambell, owner of the steamer Genista, announced that he is preparing designs for a new passenger steamer to replace the Genista, which has for many years maintained the service between Stony Point, Phillip Island, and San Remo. Mr. Sambell stated that the new vessel, which would be at least twice the size of the Genista, and would have a speed of 15 knots, would represent the latest ideas in ship construction. Members of the Phillip Island Historical Society were able to fill in some of the gaps from the short item. Gaye Cleeland writes that Redcliffe House is still standing, although now in private hands. The house has an interesting history. “Part of the film Summerfield (from the same producer as Picnic at Hanging Rock) was made there. 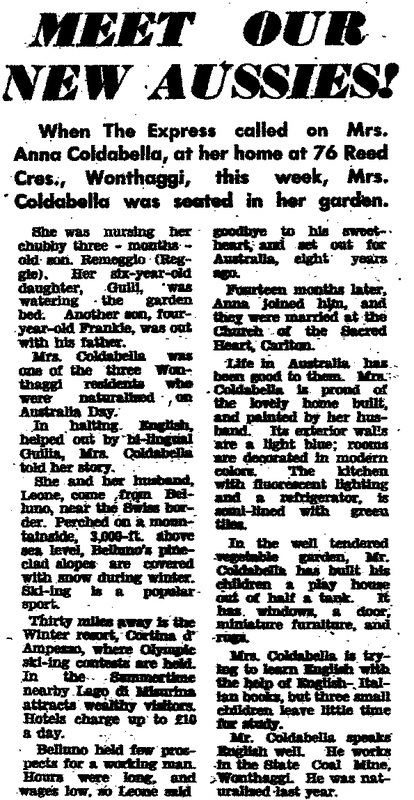 The clipping comes from the National Library’s newspaper digitisation project at trove.nla.gov.au and also ties in with the museum’s summer holiday display of material relating to guest houses and the history of tourism on the island. by appointment. Phone the secretary, Christine Grayden, on 5956 8501. Details: home.waterfront.net.au/phillipislandhistory. With planning in full swing for the Bass Coast Show, a report on the Grantville and Jeetho Agricultural Show of 1909 makes interesting reading. This account comes third hand, from Charlie Hunt, via Mrs C. M. Sullivan, who passed it on to the Powlett Express in 1955. Clearly, the show was one of the highlights of the year, with visitors from Korumburra, Cranbourne, Jeetho, Bass and Phillip Island. Not from Wonthaggi, of course, because it didn’t even exist until the next year. The Express reported that water was pumped from a nearby creek to the ground. Mrs Parks, of the Refreshment Room, fed visiting horses and they could be stabled or paddocked at the Grantville Hotel. “The ladies – feathered Gainsborough hats and wasp waists – carried a large purse in one and with the other hand, grasped the patent chain which held their long skirts out of the dust. … The men, in sober suits, 3-inch collars and straw deckers (the more dashing sported bell bottom trousers and pearl buttons) hurried off to inspect the stock. “In the poultry section, there were turkeys, geese and ducks, white and brown leghorns, Andalusians, Hamburgs, Plymouth Rocks, buff, white and black Orpingtons, Colored Wyandottes, Minorcas and Dorkings. “Dairy produce and handcraft exhibits were even more colorful and varied. Butter, cheese, ham, home-cured flitches of bacon, eggs and home-made bread were on display. First prize for the best batch of bread was -cwt [12 kilograms] of Goldfinders soap. “Handcrafts included Crewel, Macrame, Shadow, Drawn Thread and Melick Work. from the Union Theatre to the co-op store and dispensary. 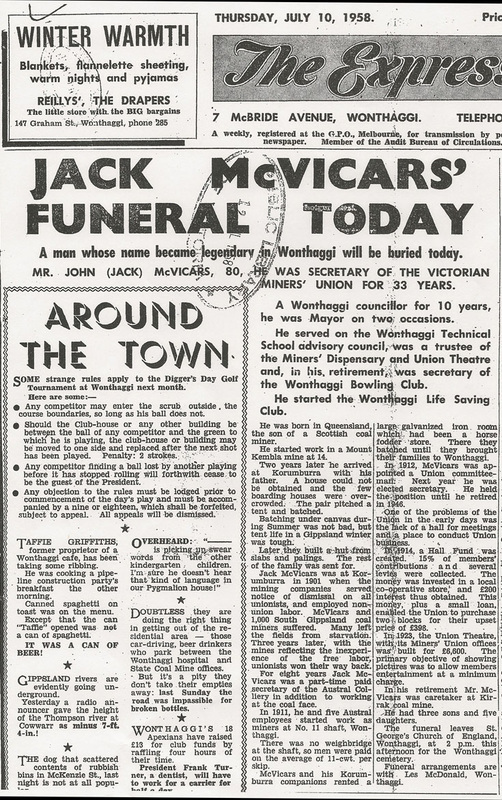 JACK McVicars’ funeral was one of the biggest ever seen in Wonthaggi. 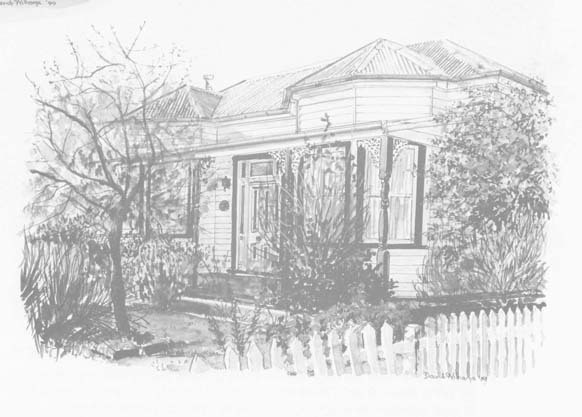 McVicars was Wonthaggi royalty, a driving force in many of the initiatives that made Wonthaggi a “co-op town”. As the Express reported, on July 10,1958, on the day of his funeral, McVicars’ views were forged in the South Gippsland coalfields, where in 1901 the private mining companies laid off all unionists and employed non-union labour. In 1911, he started work at the new state coal mine in Wonthaggi. He and five of his Korumburra workmates rented a horse fodder store and batched there until their families arrived in the new town. The money was used to buy two blocks of land in town and the Union Theatre was built in 1923 at a cost of £6600. “The primary objective of showing pictures was to allow members entertainment at a minimum charge,” The Express reported. In his retirement, McVicars was caretaker at the Kirrak mine. He was 80 when he died. has survived in south-west Gippsland? WANDERING the Harmers Haven beach, you still come across traces of the Artisan, a three-masted ship wrecked on the beach during a ferocious storm in the dead of the night on April 23, 1901. Iron spars are jammed among the crevices of the rock shelves. In a deep rock pool known only to locals, you can see the ship’s anchor on those rare days when calm seas coincide with a very low tide. It was only after Eddie Harmer built a hut out here that this became Harmers Haven, a jocular reference by his mates that grew into the official name for the eventual subdivision. Before that, it was always Wreck Beach, or simply The Wreck, after the Artisan, and some of the real old-timers still refer to it as such. 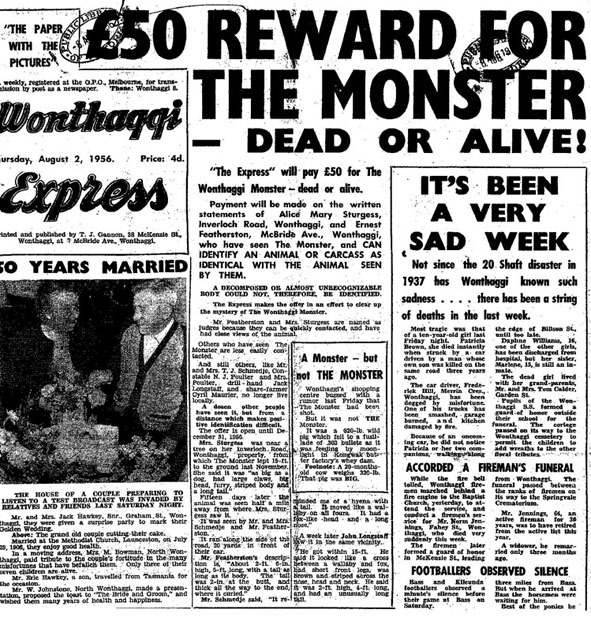 In 1959, when the Wonthaggi Express reported on the wreck, it was still well within living memory. The Express reported that the ship’s crew of 17 and one passenger – Mrs Pardy, the captain’s wife – spent a fearful night, waiting in the pitch black for their imminent demise, only to find at daybreak that the ship was lying in just a metre of water. “As the tide receded, preparations were made for landing, and as the beach dried, Mrs Pardy descended the ladder and the rest followed. The spot where the wreck occurred was the most favourable in the locality and almost within a stone’s throw of the only house for ten miles. This house was the property of Mr. Richard Jennings, a caretaker for a coal-mining lease. Mrs Jennings, strolling to a rise of sand in the morning, saw the vessel lying in sand and the ship-wrecked people on the beach. 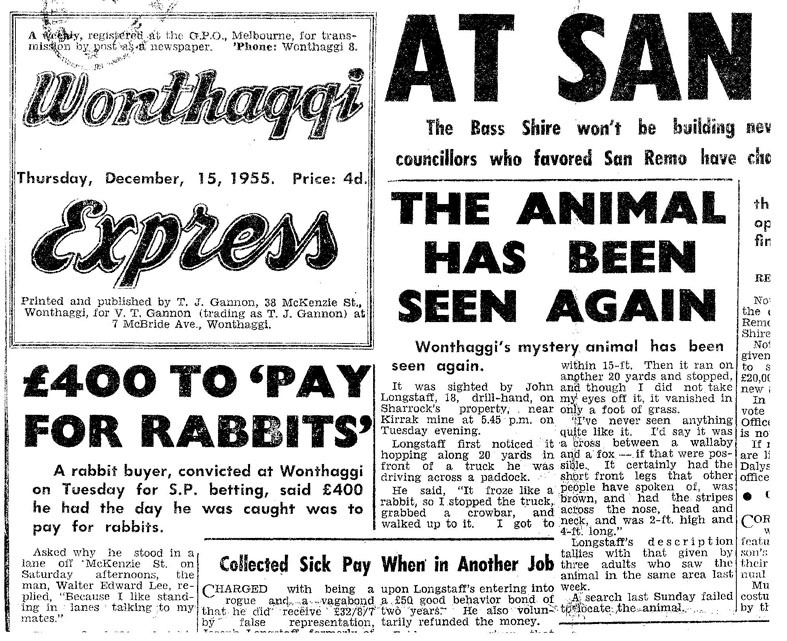 Wonthaggi did not yet exist and getting back to civilisation proved to be a difficult task, the Express reported. “On the Thursday morning the weather had abated sufficiently for the crew of the Artisan to return to their stranded vessel to remove personal effects and other valuables including the captains furniture, charts and navigation instruments and Mrs. Purdy's bicycle and organ. Since the barque was in ballast there was no cargo to be removed. The ships stores, those of which had not been ruined by saltwater, were taken ashore although food wise stocks were limited as victuals were reportedly only sufficient to last several days. “The fate of the barque was obvious to all concerned for her back had been broken dispelling all hope that she could be refloated. To date no records have been found revealing the extent of contemporary salvage by any salvage company or who in fact purchased the salvage rights. 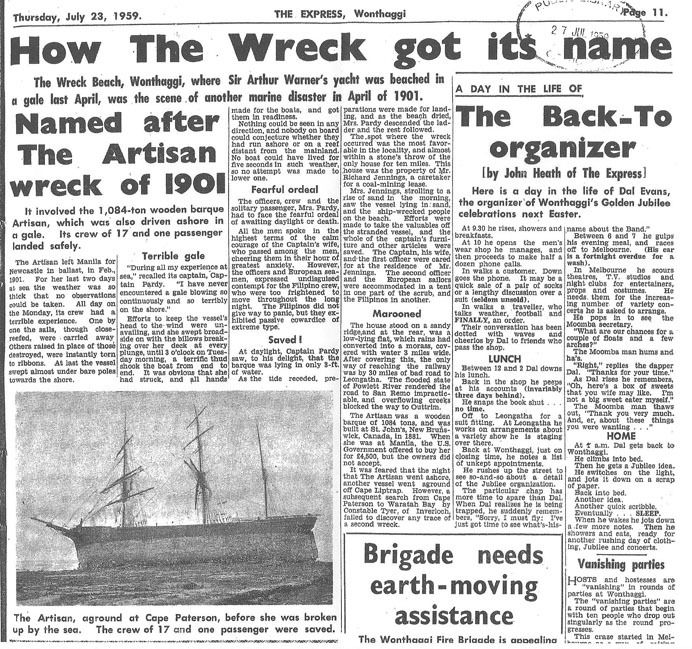 “In the months following the wrecking Western Port fishermen Mr Martin Sanne and a Mr Janssen salvaged rigging, hull timbers, sheathing and many other items deemed of value. Martin Sanne constructed a house at Kilcunda from Artisan timbers. The captain's table originally acquired by Martin Sanne and passed down over the years is now in the possession of Jack and Agnes Phillips of Inverloch and serves to this day as the family dining table. When everything salvageable had been taken, the 58-metre carcase of the ship was blasted with gelignite, scattering the pieces over a wide area. The Age of May 15, 1901 has a full account of the subsequent marine inquiry, in which the Artisan is described as a “happy go lucky ship” and much is made of the behaviour of the Filipino sailors. Eric Langenberg’s account for the Maritime Archaeology Association Of Victoria has extensive detail on the wrecking and subsequent inquiry..
A councillor warns that a 49 per cent rate rise will cause a hue and cry. Another says ratepayers cannot expect works unless they’re prepared to pay for them. Sounds familiar? 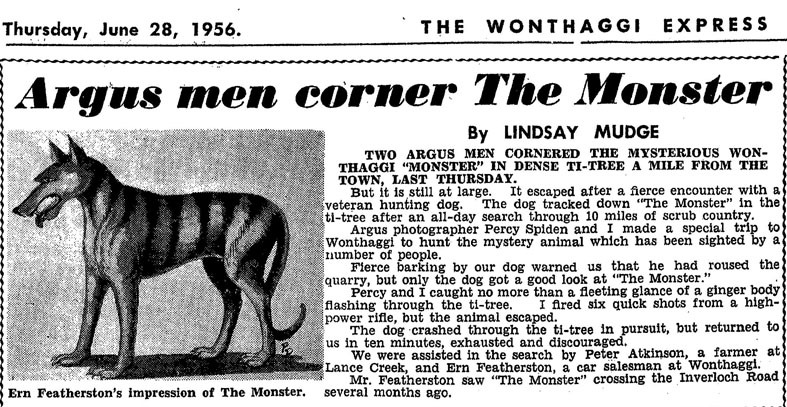 It’s Wonthaggi in 1951. THIS year’s rate rise in Bass Coast prompted a rush of complaints and even a new political group to stand for election with a pledge of capping rate rises. But our 5.9 per cent rise pales by comparison with the 49 per cent increase that Wonthaggi Borough ratepayers faced in 1951. 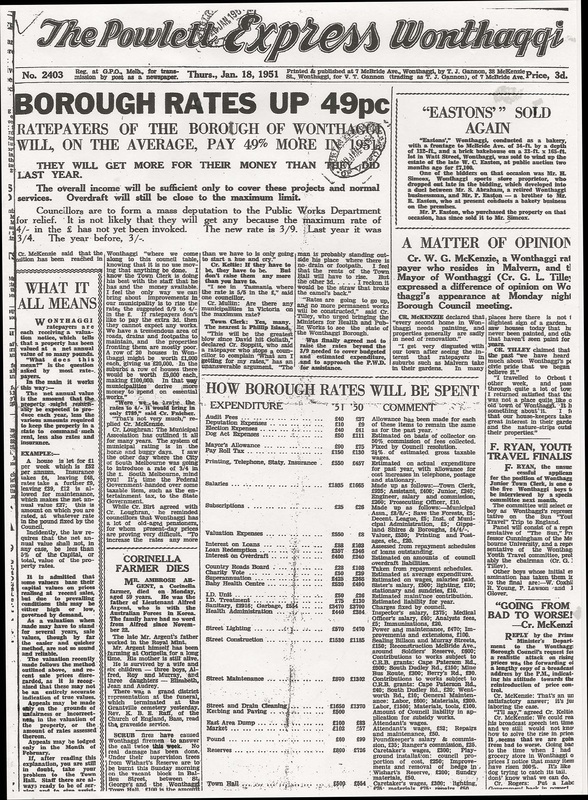 Reporting the rise on January 18, 1951, the Powlett Express wrote that the increase in income would only be sufficient to cover a few projects and normal services. At a meeting of the Wonthaggi Borough Council, Cr McKenzie stated, in a complaint that is familiar today: “We come along to this council table, knowing that it is no use moving that anything be done. I know the Town Clerk is doing his best with the staff that he has and the money available. “I feel the only way we can bring about improvements in our municipality is to raise the rates to 4/- in the £. If ratepayers don’t like to pay the extra 3d. then they cannot expect any works. IT STARTED with a hermit, as stories of treasure often do. Donald Nicholson, who lived near Screw Creek, in Inverloch, searched for 15 years for an underground vault he had been told his grandfather buried there in about 1900. In 1940, according the Express’s report, the Army was called into the search by the Chief of the General Staff. “Twelve army men, including two colonels and four engineers, had prepared to blow away the face of Savage’s Hill – but minutes before they were to set off a charge, orders were sent from headquarters to stop. In September 1954, a syndicate led by miner William Burgess appeared on the scene. Mr Burgess had with him an American radioscope and announced that he had found “definite evidence” of something long and metallic buried beneath Savages Hill. “Whatever is buried is within 20 feet of the surface. We have finance enough to build a road into Nicholson’s camp and use bulldozers to shift the earth. The treasure trove now purportedly includes “a document from Solomon’s Temples”. And now it’s three “elderly” women – Mrs Donald Nicholson and her sisters-in-law who are “pottering about, shifting earth as slowly as the late Donald Nicholson did in his 15 years of digging”. There is no mention of how or where Mr Nicholson died. The Burgess expedition was also still on scene, having determined that the “long metallic object” was in fact a large black coal deposit. Ten metres away from the Nicholson excavation, four Korumburra and Leongatha farmers have sunk shaft 13 metres deep after a divining rod started doing crazy things. And there the story peters out. The treasure apparently never was discovered. 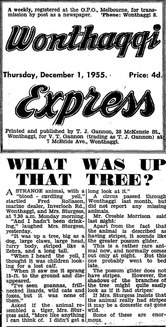 From the newspaper archives of the Wonthaggi Historical Society. When Jack Cowcher humped his swag into Loch in 1887, there were two stores, two butchers’ shops, a chemist, a pub and a local newspaper. A CRACK team, consisting of brothers Mick, Jim and Henry Donohue and their brother-in-law Len Denier completed the Wonthaggi-Inverloch course in record time. SEVENTY-three-year-old Jack O’Halloran, who died at Dandenong on Tuesday and was buried at Wonthaggi on Wednesday, came from Ballarat to Glen Alvie with his father in 1891. They picked of all places in which to camp … the Glen Alvie Cemetery! Jack laughed in the years that followed of how they woke up that morning and found that they had slept in the cemetery. They were a fortnight amongst the virgin timber at Glen Alvie before they knew there were other white people in the scrub with them. Only 14 then, Jack stayed while his father went back to get the rest of the family from Ballarat. Koala bears, he remembered, were plentiful and noisy in the forests in those days. Before he settled down to farming, Jack drove a horse and wagon for the butter factory, in those days located at Almurta. He was a grand footballer. He saw Glen Alvie grow, and in matters appertaining to his district’s welfare he was always to the fore. Five years ago, he and his brother sold their farm and retired. Titus Trewin carried corrugated iron on his back 10 miles from Grantville to Blackwood Forest. And when he had built a hut in the Blackwood forest and moved his family in, he had 2/6d left. 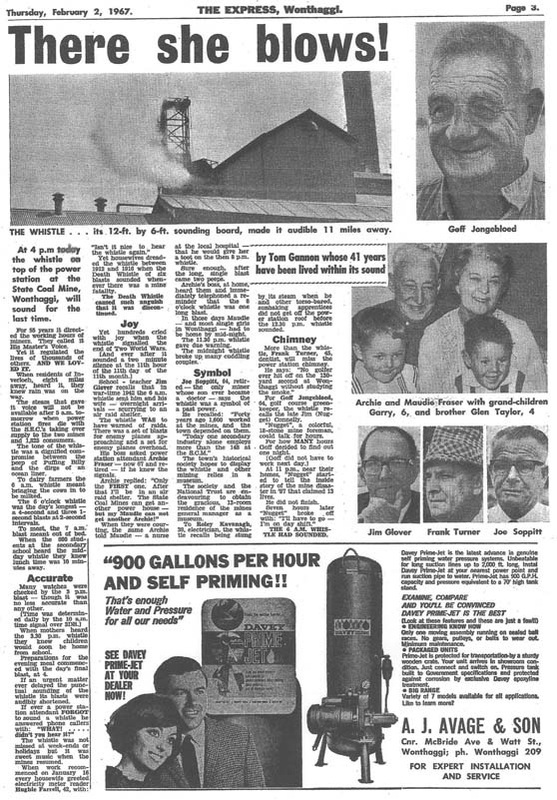 This anecdote of the last century was recalled by Mr. Jim Caldwell, 71, of Almurta last Saturday. His grandfather, W.J.Craig, was one of the original Craigs of Almurta. Mr. Trewin spent the night with the Craigs on his way to Blackwood Forest. Grantville was then the main town. A hardwood timber mill and a blackwood timber mill had tram lines from Almurta to Grantville where the timber was shipped to Melbourne. In addition, when exposed to the wind, many were blown over as they have shallow root systems. Koalas, numerous, also ruined trees. Even in the 20s when going to school at Almurta, Mr. Caldwell had seen as many as seven koalas in a tree. When the forests were cleared, bracken and sword grass appeared. A cream wagon from Loch each Monday, Wednesday and Friday picked up on its way to Almurta and loaded cans on the rail at Almurta for Korumburra. Motor transport did not appear until after the First World War when the CRB started to bluemetal the Loch-Wonthaggi Road. Mr. Caldwell recalled being bogged, with his father with a load of pickets on a 2-horse sledge outside Peter McLaren’s front gate. “The pickets had to be carried to dry ground, and the sledge unbogged. Mr. Caldwell said the improvement in the roads and the country were nothing short of marvellous. Mr. Caldwell was speaking at the Bass Shire’s Heritage Week celebration in the Krowera hall to mark 100 years of settlement in the hill country. 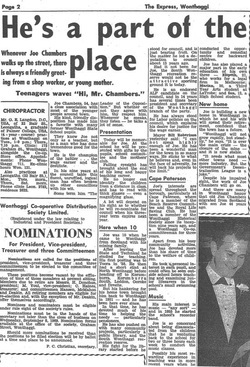 An obituary from 1949 recalls the perceptiveness of one of Wonthaggi's pioneer retailers, Charles Humffray. He and his business partner, Mr Allan, settled on the corner of McBride Avenue and Graham Street as the site for their drapery.